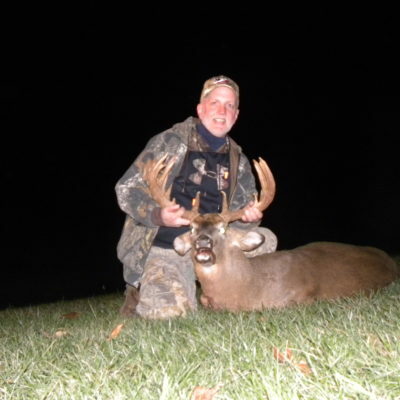 DannerHolz Whitetails is a Pennsylvania Trophy Whitetail Hunting outfitter. It is a privately-owned family-run business with a family type atmosphere. 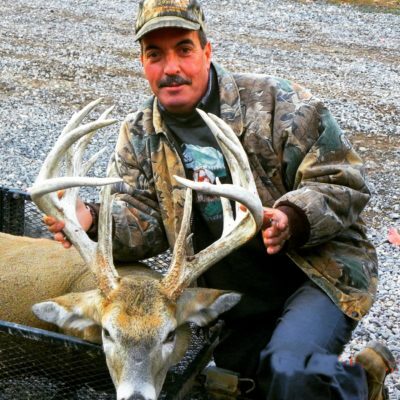 We offer a limited number of select luxury whitetail trophy buck deer hunts every season so that we can maintain the trophy buck quality we strive for. 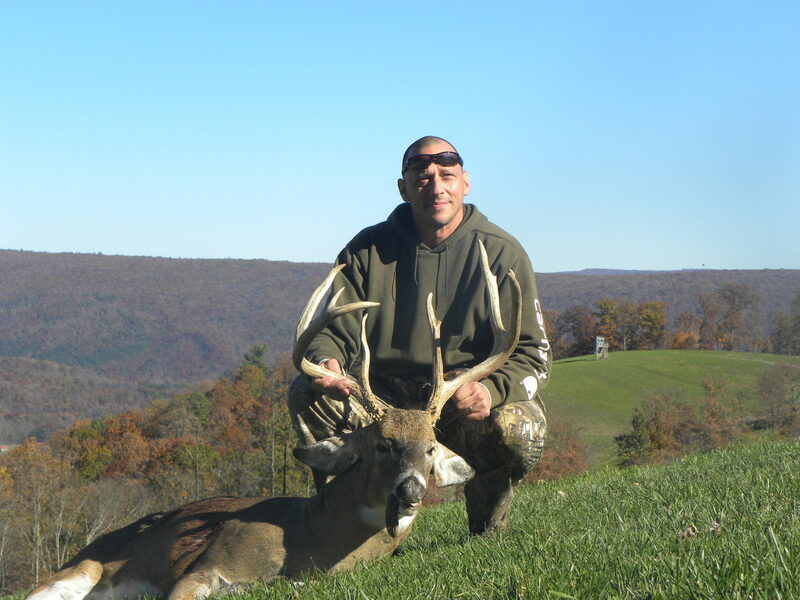 Our goal is to provide every client with a truly enjoyable guided whitetail hunt experience that will always be remembered. 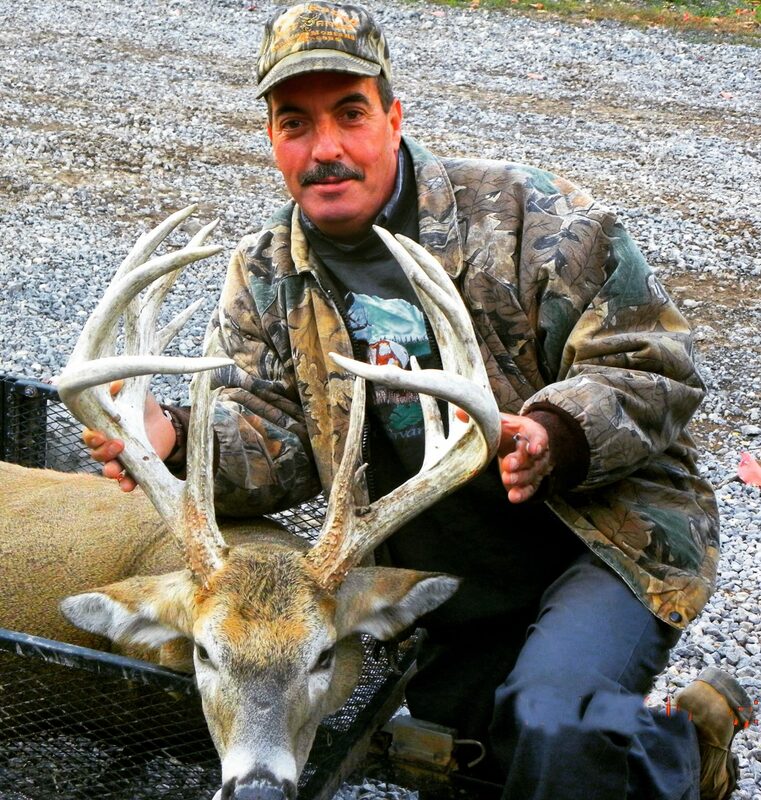 If you are looking for a hunt of a lifetime, and the opportunity to harvest HUGE WHITETAILS, then look no further. 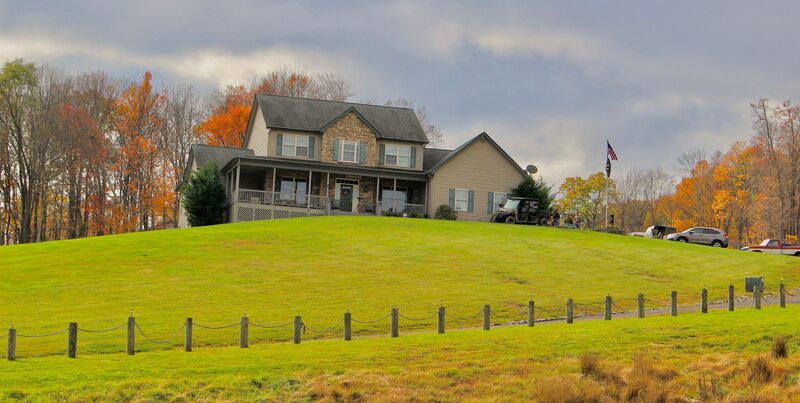 We provide superb home cooked meals, excellent lodging, a friendly and competent staff, and a warm outside fire pit to share past and present hunting memories. 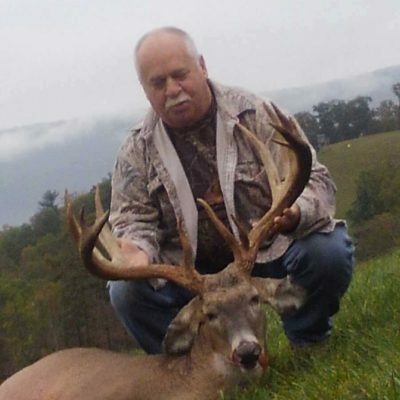 DannerHolz Whitetails offers the finest in Pennsylvania whitetail trophy buck deer hunting. 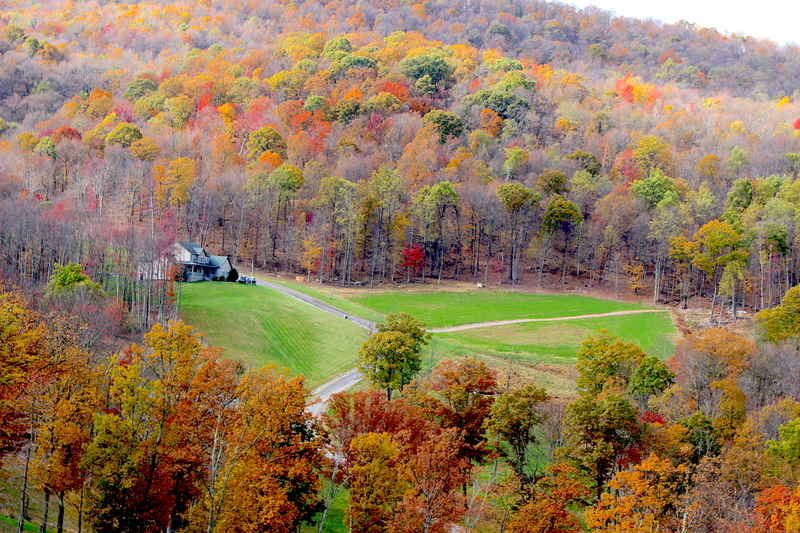 Our property consists of wooded mountain terrain with numerous food plots, ponds, and thick cover throughout. Due to our relentless pursuit of the perfect whitetail habitat, we are positive you will leave Dannerholz with a story you can tell to your friends and family for the rest of your life. Our lodge has all the accommodations a hunter needs. It has spacious bedrooms, all with private bathrooms and showers and free Wi-Fi. The lodge also provides a full kitchen from which home cooked meals are provided by our staff. This place was unbelievable. My fellow Airborne Ranger and I both survived multiple tours in Iraq and Afghanistan, and promised to hunt together when we got home. We both took the biggest bucks we have ever seen. Our guides, Sam and Harvey were great. They wouldn’t let us shoot some of the first Deer we saw because they weren’t big enough, even though they were huge to us. The food was home cooked and fantastic, and the Ranch house accommodations were first class. The Owner is a Veteran, and his entire staff treats you like family. It just doesn’t get any better than this place. Thanks for a unforgettable hunting experience. 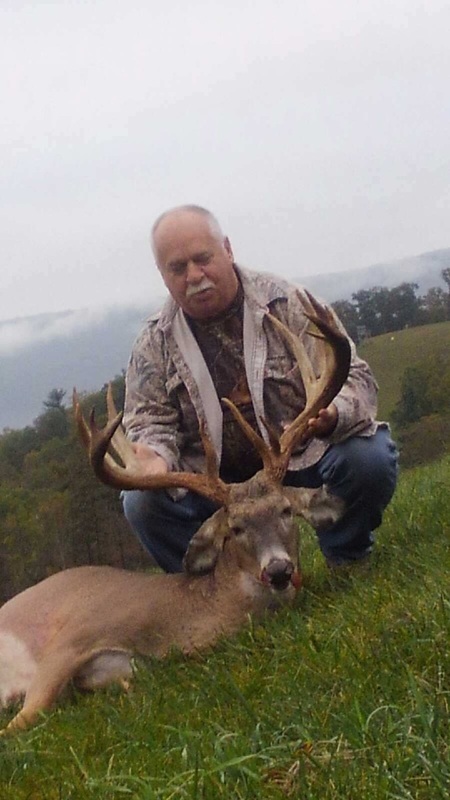 I am PROUD to have harvested my buck at DannerHolz! 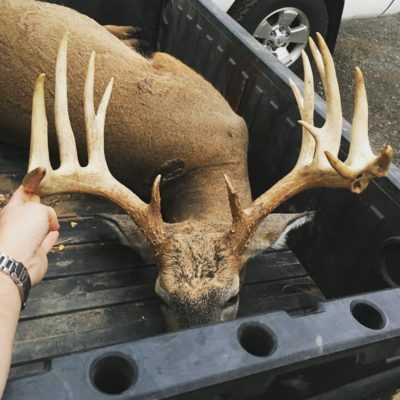 Their whole staff took such good care of a 75 yr. old crippled up old man AND my wife that I was able to harvest this magnificent example of a large nontypical whitetail buck. Whether I live 6 mo., or a year, we will never forget the care, the respect and the hunting you gave an old man! I love you guys! Took this great buck after seeing him the day before, but couldn’t get a shot because of darkness. Went out to same spot next morning and caught him working his way to his bedding area. Saw lots of Bucks, but I wanted this bruiser that we had seen on the many trail cams throughout the Ranch. This Ranch does what they advertise. Great food, housing, guides, and hunting area. Wow! Couldn’t have been better! On the first day of my hunt, I told myself, don’t be in any hurry to take a good Buck. 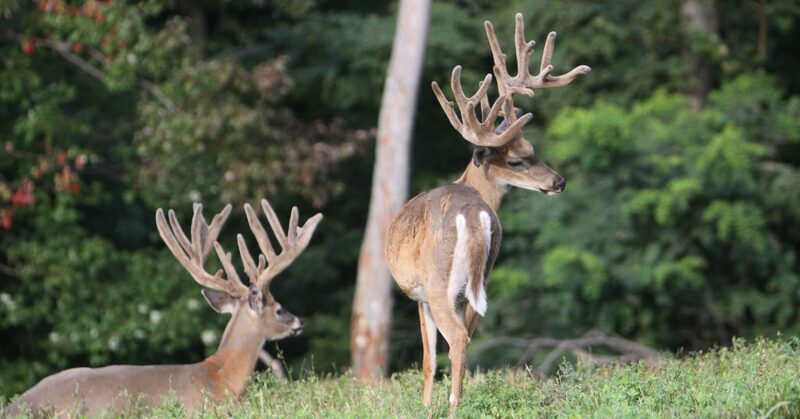 I would have two more days to select a Buck that would meet my expectations. 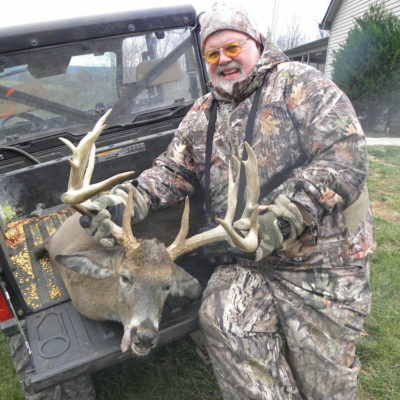 I had been forewarned by Dennis, the owner, to take the first Buck you see that you really like. He told me that I would be seeing several Bucks coming into our food plot that evening, so be patient. However, you might not see those same Bucks again as there are 8 large food plots on the property, and the plots are planted with different crops. So the Deer have a choice of “restaurants “ to eat at. That being said, we were only in our tree box blind less than 30 minutes when this huge 140 “ Buck came strolling into our field. I told Sam, my guide, that that Buck had everything I wanted. Sam was whispering to me that it was a mature Buck around 140” with great brow tines and good mass. He didn’t get to finish his last sentence, “ he’s a good Buck and you can take h- -, Boom!, he went down in his tracks. I spent the next two day watching deer in different spots. Good thing I left my rifle at the Ranch House. I will be back next year. After 2 days of hunting I finally got the 207 2/8″ monster I was looking for. I saw over fifty different bucks, but was holding out for the buck they showed me on the trail cameras. Long tines and lots of points. He came out just before dark, and after I calmed myself down I shot the buck of a lifetime. One of the best Whtiteail deer hunts I have experianced. 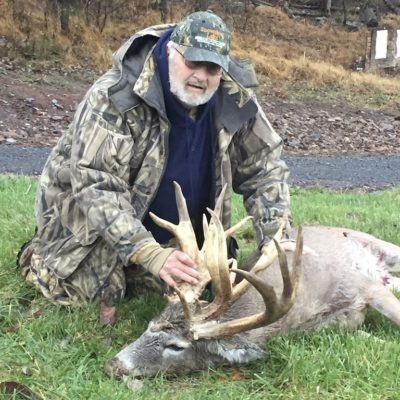 Sam, thanks for an unbelievable Allegheny mountain whitetail hunt. You and your staff provide a first class experience. 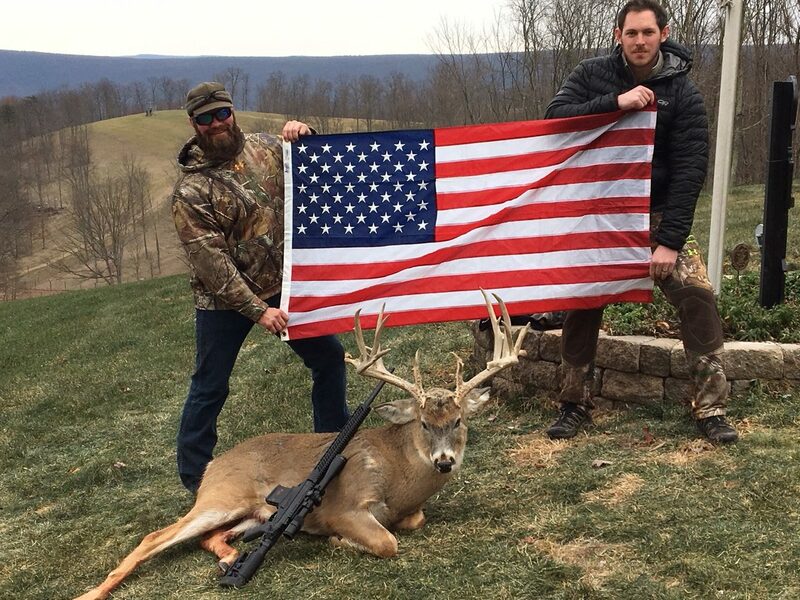 Harvesting a nice buck was just the icing on the cake. This was the fastest 3 days of my life!!! Time flies when you’re having fun, and fun we did have. Can’t wait to come back. 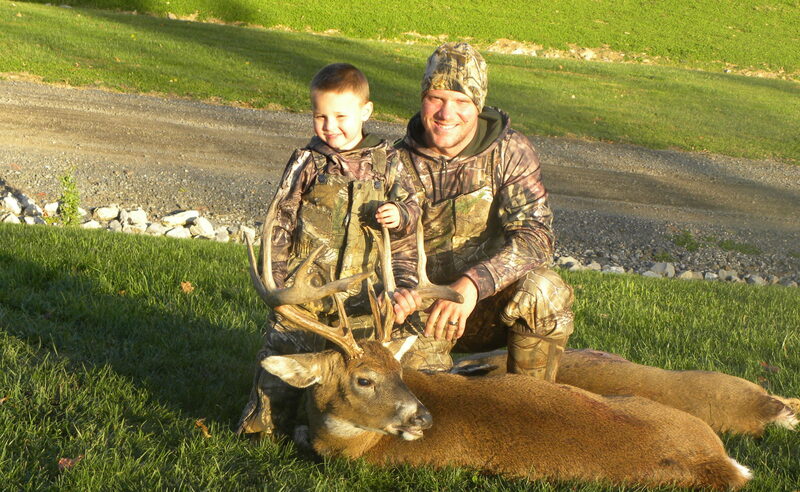 The hunting was phenomenal, but the experience was something my son and I will always remember. Thanks for letting my son shoot a 6 point cull buck. It was his first deer, and he hasn’t stopped talking about it since. 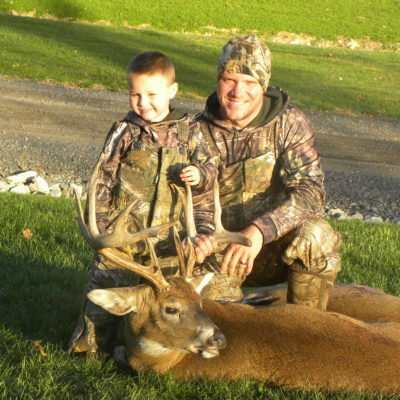 Shooting my 143″ buck pales in comparison when I look at the photos of my son’s first deer. Your philosophy of getting our children involved in hunting is the only way our hunting heritage can be passed on. Thanks for your great company and fellowship and the opportunity to witness breeding Whiteail in Pennsylvania operation. Dennis, I will never forget our conversation after our first 20 minutes in our stand. It was November 10, 2009 and the rut was on. When I saw that big 8 point chasing a doe and you said don’t shoot, I couldn’t believe you said that he was too young. But when you said don’t shoot the 10 point that followed I thought you were crazy. “Too small” you said, but that was the biggest deer I had ever seen , only now he’s hanging on my wall. 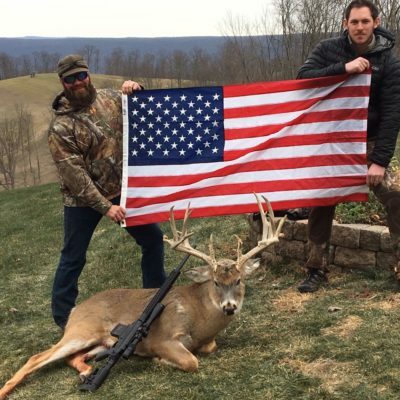 He scored 137 5/8 and my two sons each shot deer scoring 142″ and 152″. Thanks for your hospitality and I doubt I’ll ever hear anyone else tell me, “Don’t shoot, he is too small”. Thanks and we’ll be back. For record book trophy deer hunts, I would come here. This was my second year at Dannerholz Whitetails and it just keeps getting better. Great food. Great service. 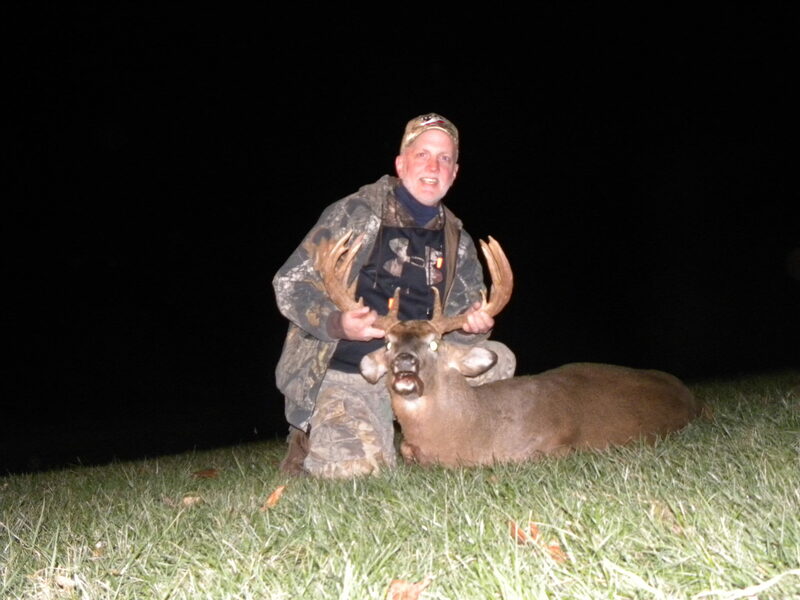 The first year I shot a perfect 9 point 154 buck on the last evening, just before dark. The second year I shot a 165 plus typical on the first day. For the next two days I was able to sit in several blinds and saw over sixty bucks ranging in size from the 130’s to over 250″. Good thing I left my rifle back at the ranch! I’m coming back in 2011. Having had guided Whitetails deer hunts all over the US, Mexico, and Canada, I have to say this was the best hunt I have ever been on. Well organized with a wonderful staff made this hunt truly enjoyable. The thick racked 190″- 15 pointer was exactly what I was looking for. 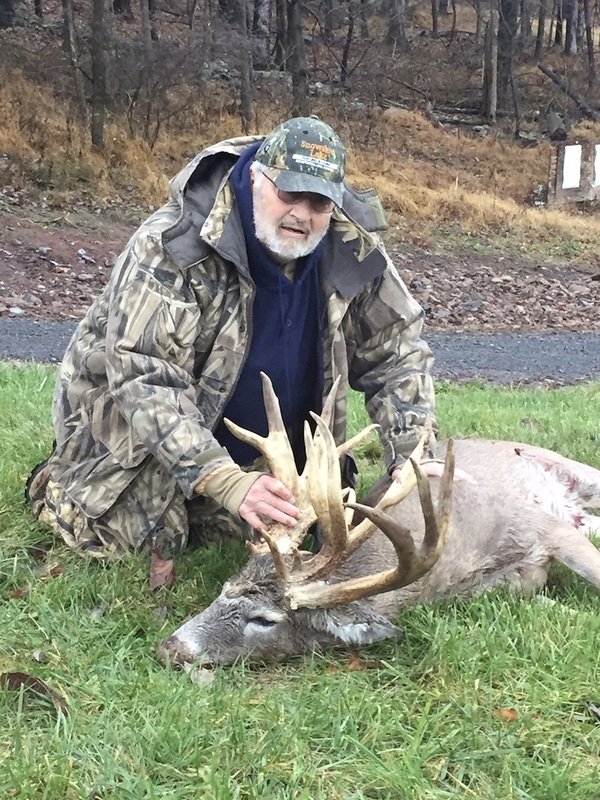 We saw several mature bucks every day, but I wanted a mature buck larger than the 172″ I had previously harvested. I was also prepared to go home without anything. On the last evening we hunted in a tree stand next to a “staging area” near a field hoping to get a shot before dark. 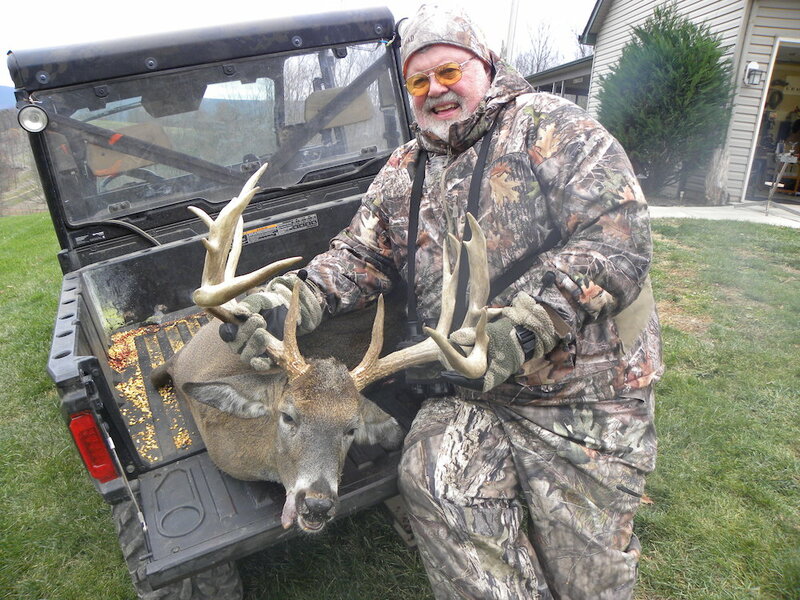 Time was running out when Dennis, my guide, whispered, “here comes your buck.” He’s at least 185″. That’s all I needed to hear and my 125yd shot dropped him in his tracks. As we slowly approached him, there was no ground shrinkage there. What a trophy. What a hunt!! Thanks, Dennis, Sam, Justin, and the cook Jessica. Your deer preserve is the best I’ve seen. Great hunt, great place. Excellent food and accommodations. I hunted during the “rut” and never seen anything like this. Huge bucks chasing does all over the place. I got a beautiful 10 point the second day. I’ll be back real soon. I also got to see their whitetail breeding facility located here in the Central Penssylvania Allegheny Mountains.